When it comes to wedding dresses, it's safe to say that one size definitely does not fit all. 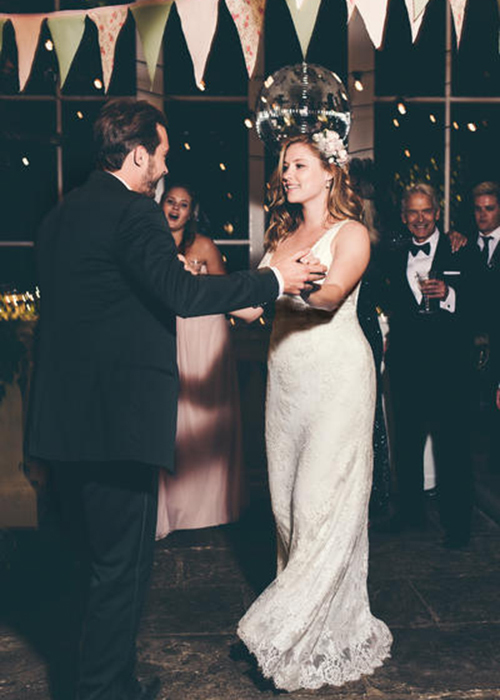 Women come in so many shapes and sizes, and it's essential to embrace and celebrate your body on your wedding day (and wow your groom!) in a dress that is perfect for you (read: going on a two-week cleanse is not always the answer). That's why we are just so in love with the new David's Bridal campaign, which features a stunning, voluptuous model in its ads. The Australian model featured, Mercy Watson, wears a size 14, a similar size to the average David's Bridal's customer, SELF reports. The ad spread allows for a true (and gorgeous!) portrayal of how a dress would fit someone similar in size. This exciting feature comes only a few days after Christian Louboutin cast his first plus-size model in a new lipstick campaign, according to Bustle, joining the ranks of Marc Jacobs and other major brands who are promoting inclusivity and positive body image. While some luxury brands may just be breaking into featuring the plus-size world of models, this is not David's Bridal's first rodeo. Last year they featured a different size-14 model, Candice Huffine. Trevor Lunn, the Chief Customer Officer from David's Bridal, told us that they chose Watson because they felt she was a true reflection of their customers. 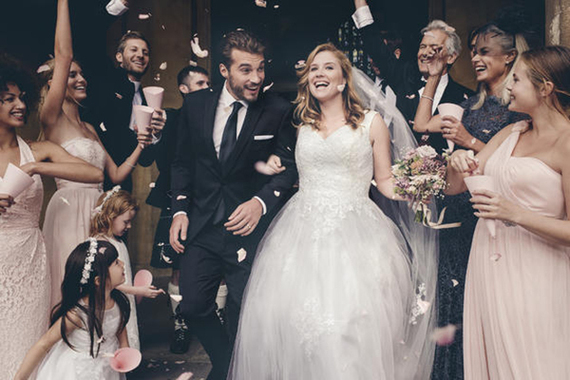 "We recognize that all our customers are all different sizes and silhouettes and felt it was important to reflect this diversity in our ad campaign creative," Lunn tells BRIDES. "We are proud that these images further reinforce our commitment to helping every bride-to-be find the gown of her dreams, regardless of her shape, style or budget and are thrilled to have had the opportunity to work with a model as beautiful as Mercy." Modeling the new line of bridal gowns while gallivanting around the picturesque streets of London in front of Parliament, the Orangery, and, of course, a signature British telephone booth, Watson looks pristine in the array of flowing veils and florals. And the best part? 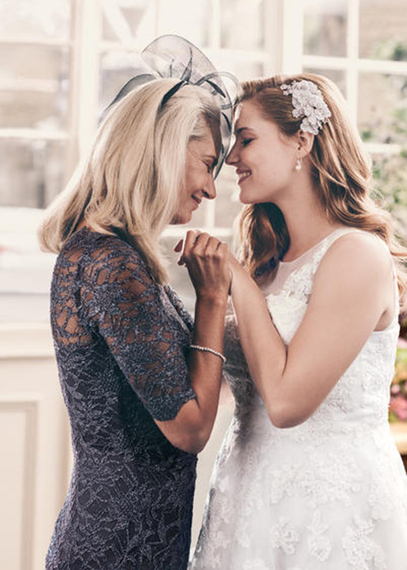 The line isn't just fitting for your waistline, as the David's Bridal price points for this campaign are super affordable. Most dresses range in size from 0-26, and some prices start as low as $499, making both the price and fit very attainable for the everyday bride. We're hoping more brands follow suit, as the results are clearly spectacular. Kudos, David's Bridal!